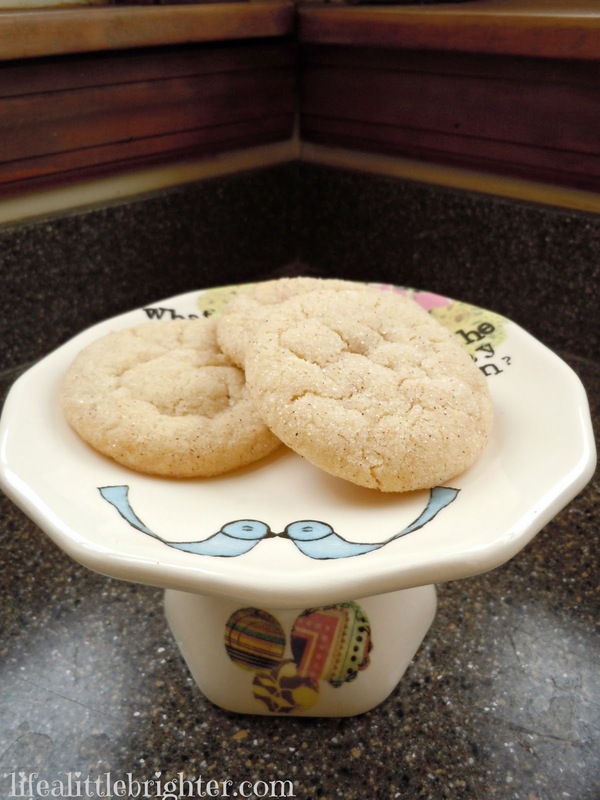 Snickerdoodles are a last-minute cookie for me. Need some dessert? Didn’t make it to the store? And these happen to be pretty fabulous Snickerdoodles. I’ve tried a ton of recipes, and this is the winner. I probably make these once a month. Bonus…. you get dirty dishes, aka new toys! One note: I’ve seen recipes that insist you put the dough in the fridge for 30 min before rolling it into balls. I’ve never done that, and they always turn out perfectly. Your call. Mix butter, and sugars together. In a separate bowl blend flour, salt, baking soda and cream of tartar. Add to wet ingredients and mix until just combined. Oh man, I wish I had this recipe two days ago. We didn’t want to go to the store and we were craving something sweet. I’ll have to save this for later! I’m telling you, it’s the best one I’ve tried. Perfect for last minute cookies! These look yummy! And how fun for the kiddos to roll it in the sugar – my girls would love it. Thanks for linking up with LWSL Alison! You won’t regret it:) I make these all the time! I love snickerdoodles! If it wasn’t for this darn diet I’d be in the kitchen testing them right now!